The high tension cable 4mt can be divided into 75KV and 90KV under the medical condition, and can be customized according to the need. The high tension cable 4mt of different lengths can be used for different types of X-ray machines. X-ray machine is widely used in medical and health, science education, and various fields of industry. 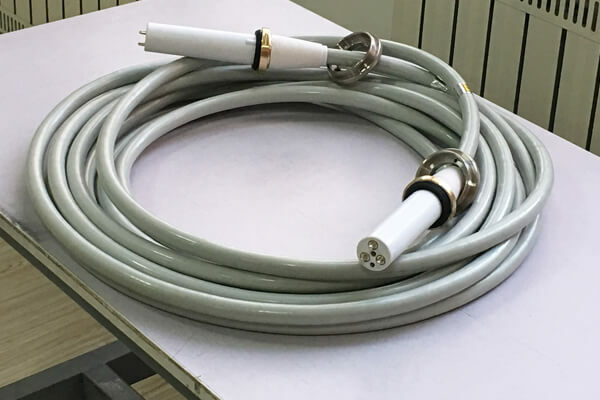 X-ray generator generally consists of X-ray tube, high voltage generator and high tension cable 4mt, high voltage connector. Under the action of high pressure of the high pressure generator, X ray tubes producing X rays are connected with the high pressure generator and X ray tube through the high pressure cable, and the high pressure is transmitted from the high pressure generator to X ray tube. In many cases, X-ray machine always has a lot of problems, enter the program, check whether it can work in the program, if it is reported by the host error, the possible reason is that one of the filament circuit has no power supply, check whether the insurance has burned out. The second is to check whether the high tension cable 4mt is inserted. The high tension cable 4mt is an important component. In medical conditions, this high tension cable 4mt structure requires a certain pressure-resistant performance, but also to reduce the cross-sectional area as much as possible to make it light and soft. Newheek high tension cable 4mt can provide quality testing service.